Dollhouse Awning Windows. Making your Mini World Real. In the world of miniatures we find a surprising amount of ideas from everyday, real life situations. It should not be unimaginable to see the same thing in their windows.There are all sorts of ideas where building supplies and window treatments are concerned. On this page you should find much to do with windows in general. We have also provided items of hardware, window treatments and of course plenty of windows themselves in the below storefront. To go now and search this category for types and styles click this link. Even though awning windows are typically not the same as their life sized versions. 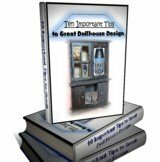 That is not to say you can not at every turn in your dollhouse journey create and make what you yourself want. Even, yes, if you do not initially find it already created. With this page about windows we hope you find the effect you are looking for. Your basic awning windows are hinged at the top and open outward. Screens are placed on the interior of the unit. For your miniature structures you may simply find items with awnings overhanging them as examples of these types of designs. Casements are hinged at the sides and project outward. This is a full-size example. A bay style is a window space projecting outward from the main walls of a building and forming a bay in a room, either square or polygonal. Bay windows are often associated with Victorian architecture. An octagon style is simply and most popularly defined as "an eight-sided polygon". A round window is just that - round. Used in creating additional character in your house construction. A Palladian style is a member of the arched group. Made with three openings and the central panes are wider with an arched top. Your Imagination: The Secret of your Success! Your basic mini building supplies do resemble home-sized building supplies. Although the tendency is not to find absolutely everything you would encounter in structuring a full sized building. However, always remember what you see in your surroundings can be copied in your miniature world. So with a bit of encouragement and imagination you can design awning windows or other styles you will love. With a bit of creativity and originality you can recreate designs you come across in everyday life. So never discount your own ability or imagination. Imagination is one of your most valuable assets while creating a mini environment. Without it you may find what you attempt to create, basically speaking, will not fly. So always get creative with your imagination. You'll be pleasantly surprised at where you end up. Who knows maybe you'll design the next wave of uniquely collectible dollhouses. Ones people will rave about for years to come. Styles by Long Life Windows & Doors Ltd.
Visit our Toy Shoppe Online today for a variety of Mini House Supplies..... and How-to Books..... to upgrade your present knowledge, find designs or great accessories.